Join No Unwanted Pets and our sponsor, Bowsers By The Bay, for a very special Traverse City Community Pet Education Day! Cattastic Cats – Learn about a variety of cat issues. “Puppyville” – Learn the importance of socialization and boundaries and how/when to start grooming and training. Discover what behaviors to expect from your new puppy. 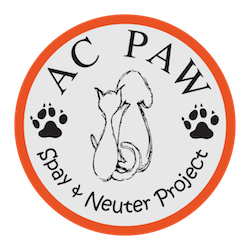 Spay/Neuter Education – Class for children – 3rd-6th grade levels. Therapy Dogs – Learn all about them, what they do, and the importance of their contribution to the community. Adult Dog Training & Handling – For foster dogs, new adult adoptees, problem “children”, and introducing a new dog into the family and more. K9 Body Language – “Difficult” dogs, understanding their body language, addressing conflict between multiple dogs. Health and Wellness for Your Pets – Food, treats, basic grooming, and health related questions, exercise, and more. Agility training discussion and demonstrations. A readers’ corner for the kids! Trained Team Readers with Therapy Dogs will be reading stories to the children and dogs. 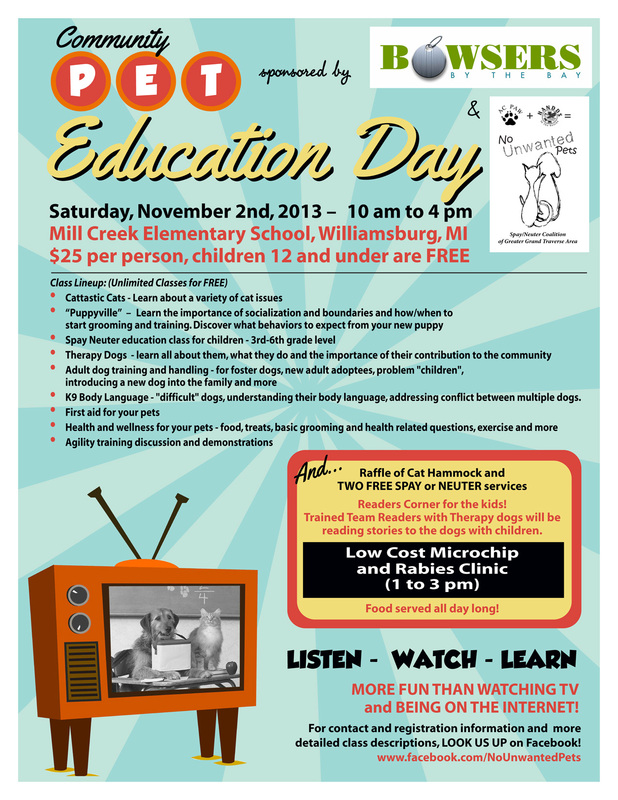 …..AND a Raffle of Cat Hammock and TWO FREE SPAY or NEUTER SERVICES. Enjoy as many classes as you’d like. Food served all day long!